Saltine Toffee aka “Christmas Crack” meets its summertime counterpart. 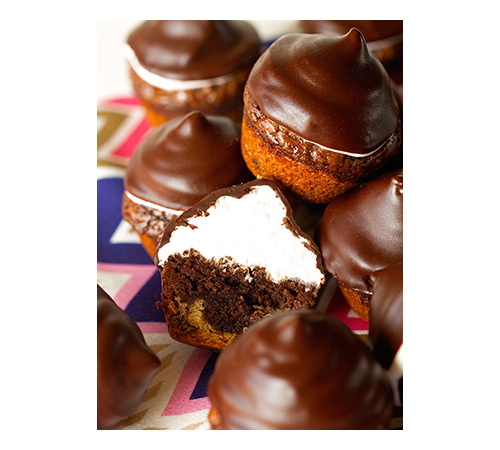 With the addition of an ooey gooey marshmallow layer, this version is a serious contender. 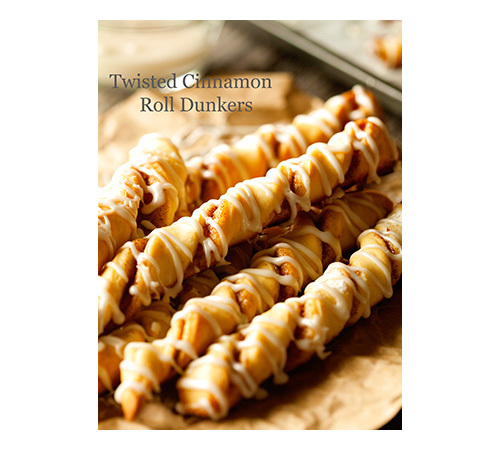 Now you don’t have to wait all year to enjoy your favorite treat! Have I told you lately how much I love blogging? I mean, one day I can post a salad and the next day a sweet treat that will knock your socks off. I never know where this journey is taking me one minute or what outrageous concoction I can come up with next. As promised, I didn’t waste a hot second to get back to the sweet stuff. Now this saltine toffee comes from an intense craving for the kind that you usually make around Christmas time. But since I refuse to think about anything that has to do with colder months, I knew I had to come up with a version that’s appropriate for the (hopefully) warmer days ahead. If you adore the regular saltine toffee as much as I do, you have got to try this version. Dare I say that I prefer this one over the original? You betcha. I didn’t mess with the first layer of this toffee. It is perfect as is and I wasn’t going to try and change that. I’ll be honest, I did think about using graham crackers instead of saltines for a quick moment, but I do like the salty component the saltines have to offer. After tasting the toffee for the first time, I knew I had made the right choice. This stuff is sweet and rich, and using a buttery cracker that’s more on the savory side, definitely helped keeping things in balance. And who doesn’t love salty and sweet? 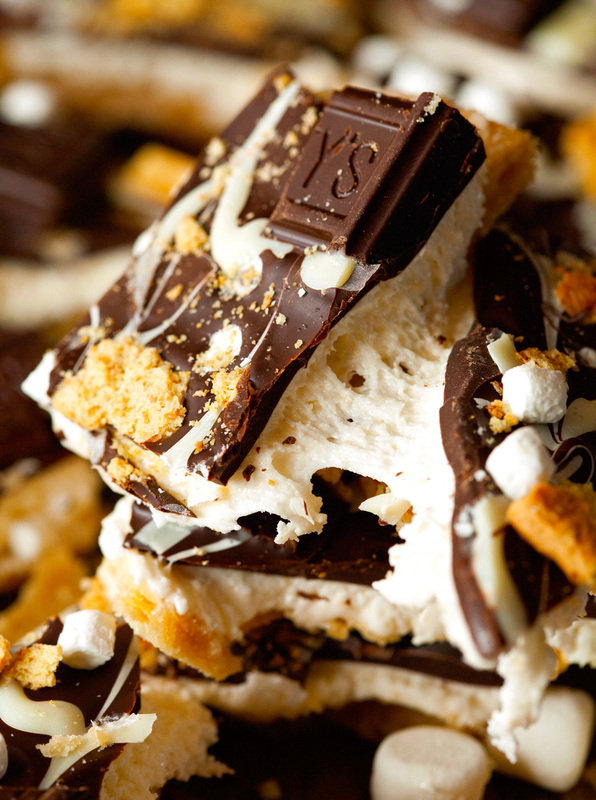 Just wait until the moment when you get to break this Campfire Saltine Toffee into pieces. 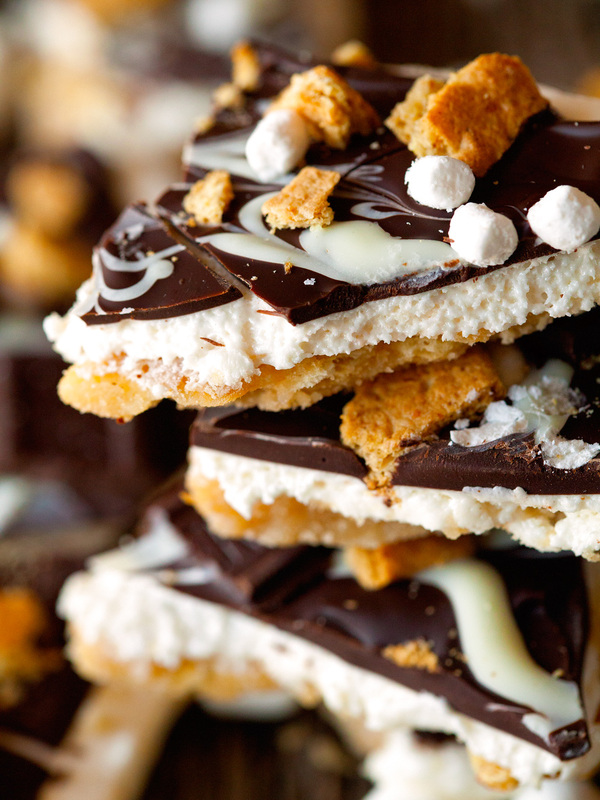 It’s basically like a giant S’more… a beautiful and absolutely delectable sight. There was only so much I could do until I had to taste-test this yumminess. Hands down one of the best S’more treats I’ve ever come up with. You need to try this as soon as you possibly can! 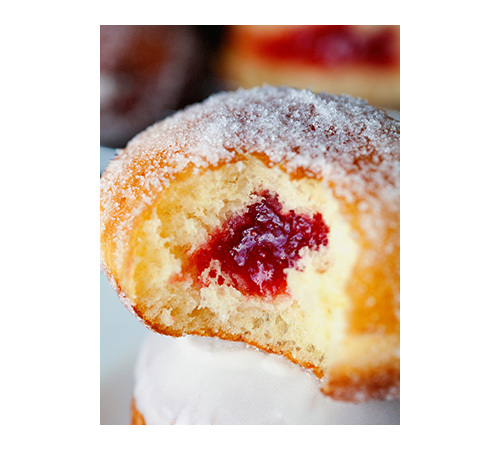 Just in case you gave up sweets or chocolate for lent, I think this would be the one thing to make to get yourself reacquainted ;). One last thing before I let you go and wish you a very Happy and Blessed Easter. The Blendtec Giveaway. 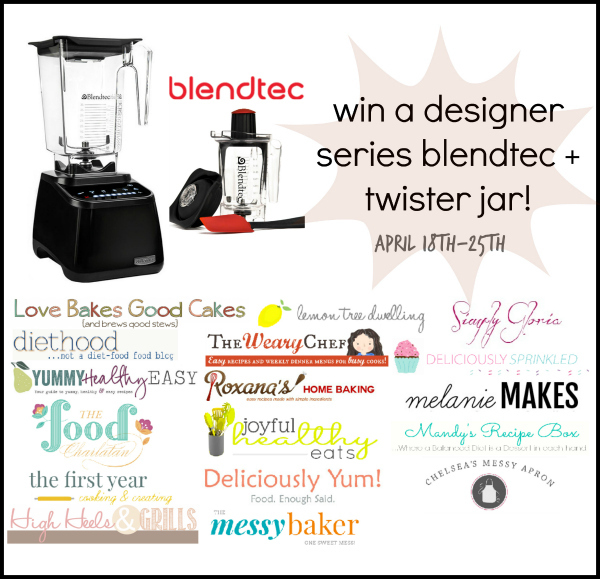 I have teamed up with a couple of my blogging friends to bring you a Designer Series Blendtec & Twister jar. It’s a fabulous blender that would make a great addition to any kitchen, so be sure to enter! 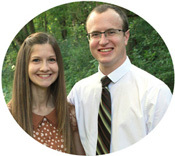 Be sure to check out these talented bloggers participating in the giveaway as well! 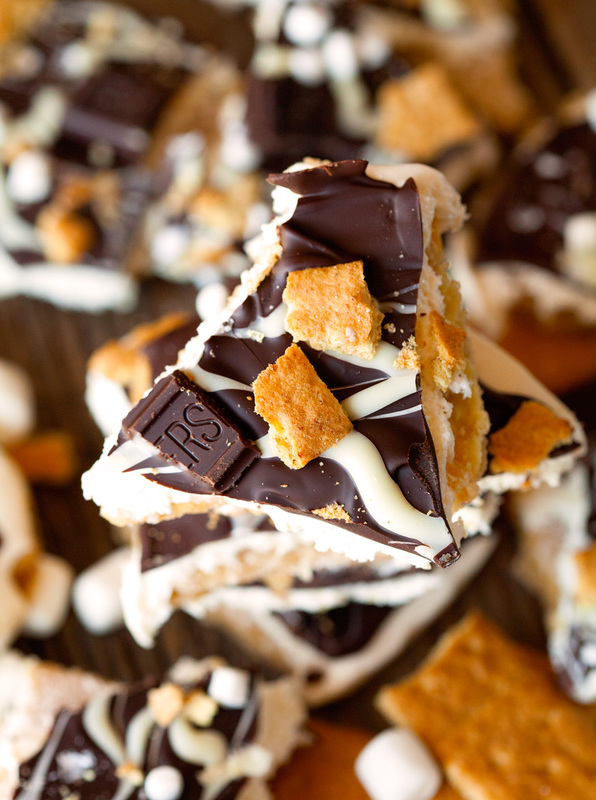 Saltine Toffee meets the campfire favorite S'mores. 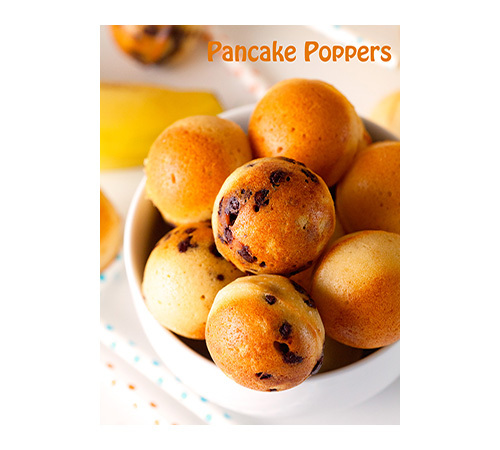 Together they make for an unforgettable treat that will have you longing for more. 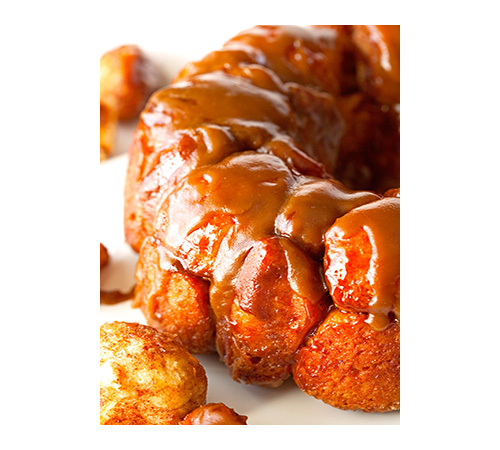 Line a 9x13-inch baking pan with parchment paper or aluminum foil and spray with nonstick cooking spray. Preheat oven to 350 degrees F.
1. Place saltine crackers in even rows on the bottom of the baking pan. In a medium saucepan combine brown sugar and butter and bring to a boil, stirring often. Once the mixture has come to a boil, reduce heat to a simmer and continue to cook for 5 minutes or until it has thickened slightly. Remove from the heat and stir in vanilla. Pour over crackers and place in the oven. 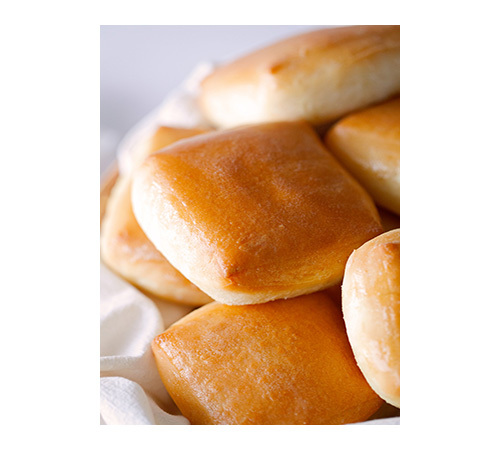 Bake for 5 minutes or until bubbly. 2. Remove from the oven and set aside to cool. Meanwhile, prepare marshmallow layer. 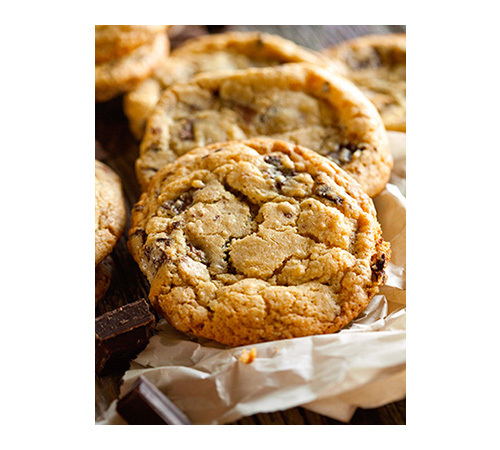 Melt 1/4 cup unsalted butter and add 1 cup sugar plus 1/4 cup evaporated milk. Bring the mixture to a boil and continue to cook (over medium-high heat) while stirring until sugar is completely dissolved, about 5 minutes. Next, add 1 3/4 cups marshmallow fluff and vanilla. Stir until creamy and thoroughly combined. Spread evenly over cracker layer. Let cool completely on the counter or in the fridge until firm. 3. In a microwave-safe bowl, melt chocolate chips. In another bowl, melt white chocolate chips (if using) as well. Pour semisweet chocolate evenly over marshmallow layer. Pour white chocolate into a ziptop bag, snip off one corner and pipe lines onto the chocolate. Rotate pan 90 degrees and using a skewer, run lines through the white chocolate, creating a pattern. Finally, top with mini marshmallows, graham cracker pieces and Hershey's chocolate. Place into fridge for 30-60 minutes or until set. Lift campfire saltine out of the pan and break into pieces. Enjoy! 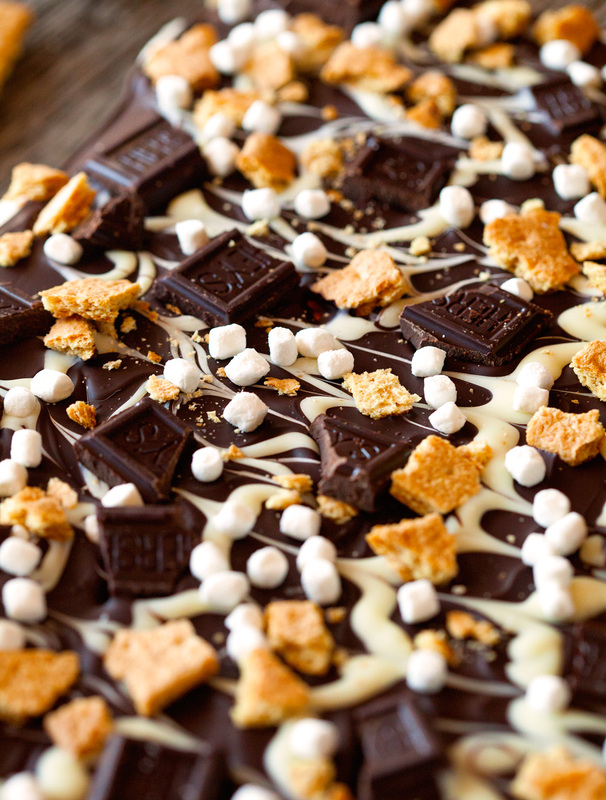 Campfire Saltine Toffee will keep up to one week stored in the fridge or for up to 1 month in the freezer. This could easily become a new favorite in our house. I love looking at your photos. Just gorgeous! Be careful – it’s so addictive! And thank you so much for your sweet comment, Norma! This campfire toffee looks perfect Kathy. Delicious photos! Thank you so much, Melanie! Hope you’re having an amazing Easter weekend! 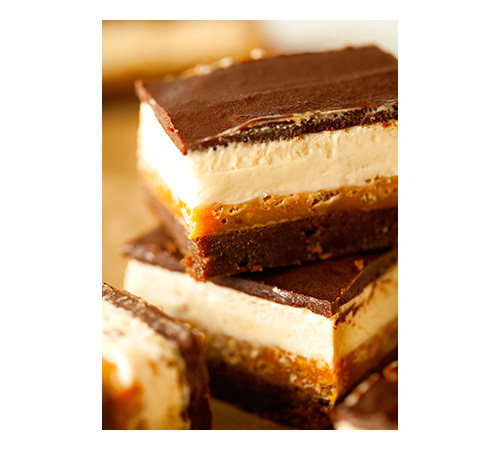 Saltine toffee is so amazing, so my head is spinning with thoughts of how even MORE amazing a campfire version would be. I’m pretty sure I’d have the most difficult time sharing this with anyone. Have a great Easter weekend, Kathi! No sharing required, ha! Hope you get to experience this deliciousness sometime!! Thanks, Ashley. Happy Easter to you and your family!! Kathi! These sound amazing! 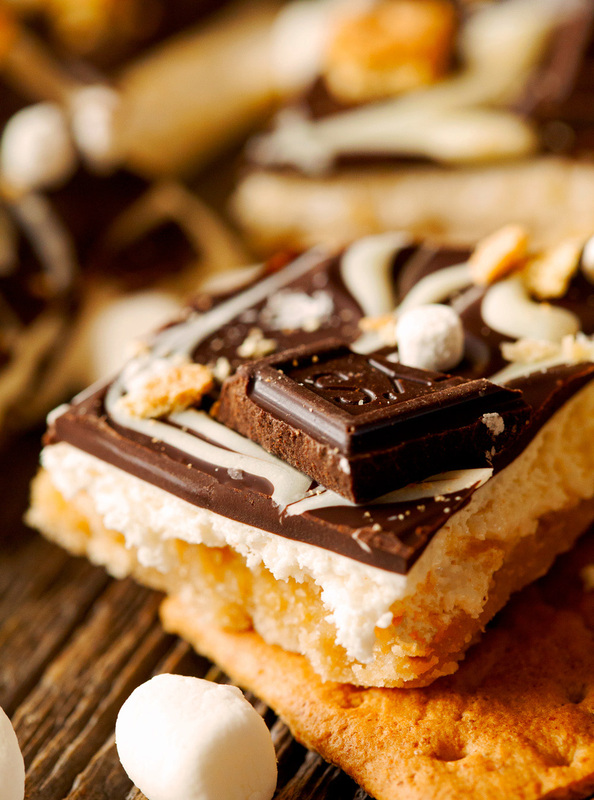 I’ve made saltine toffee before, but this just takes it to the next level! I love smores, and now I can enjoy them at home. Have a great weekend friend! That’s my favorite part – enjoying S’mores without smelling like campfire afterwards :). Thank you so much, dear. Hope you’re having an awesome weekend so far!! Duuuuuude. I’ve never messed with the perfection that is saltine toffees but now I’m questioning my sanity. LOVE! Haha. I was hesitant at first, but there’s seriously nothing better. Thank you so much, Karen!! 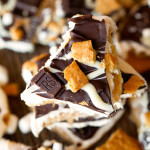 I love this campfire toffee – it looks amazing Kathi! It would definitely not last long at our house – pinning and hope you have a fantastic weekend! Thanks, Kelly. Hope you get to make this sometime. It’s incredible. It definitely didn’t last very long in our house! Enjoy your weekend! 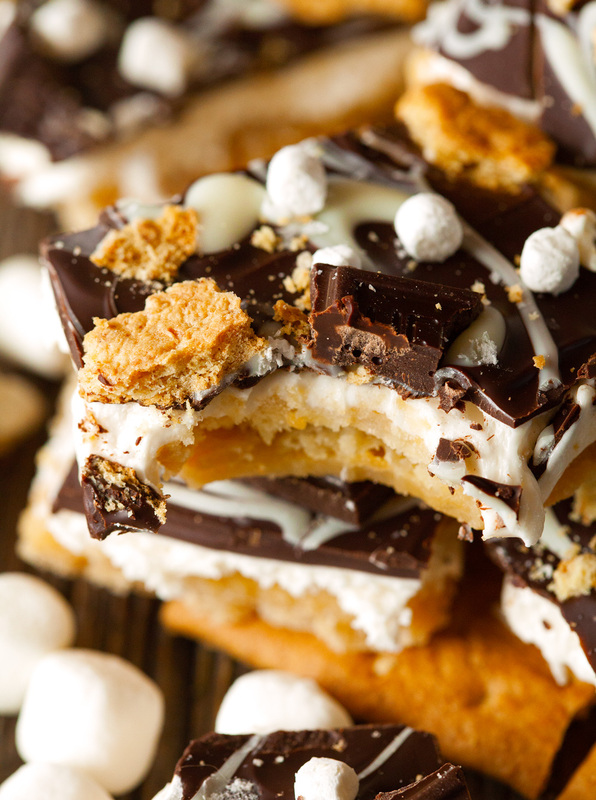 All the sweet salty s’more deliciousness in this has me drooling! I can’t think of a better summery sweet treat! It’s summer in a bite!! Thank you, Joanne! hi, i just wanted to say thank you for the chance to win such an amazing giveaway! & your recipe looks so yummy. Anybody who knows the solutioon will yoou kindly respond?